As a dedicated driving lawyer, I spend a lot of time talking to people about traffic tickets. Many people who phone my office are under the common misconceptions about traffic tickets that I discussed in an earlier blog post. However, there is another common misconception that permeates among those who call about traffic ticket disputes. And that is that if the ticket takes too long to get to court, it will be automatically dismissed. Contrary to popular belief, there is no hard-and-fast rule about how long it should take for your traffic ticket case to be heard. I often hear from people who are under the impression that if you do not have court within one year from when the ticket was issued to you, it will automatically be dismissed. Not only is one year insufficient delay in all but the most exceptional circumstances to result in a stay of proceedings, but there is no automatic dismissal of tickets for delay, regardless of the length. The current law on traffic ticket delay is divided. It largely comes down to what prejudice you can show you've suffered, and the length of the delay. The cases are stronger for those who are facing the real possibility of a driving prohibition on conviction, who may lose their employment as a result of a driving prohibition, or who have to keep clean driving records as a condition of employment. But, again, none of this is automatic. In fact, the process to run a Charter-based delay argument on a traffic ticket is convoluted and time consuming in and of itself. The matter is scheduled for traffic court, and the applicant must then give notice to the Court and the prosecution that a delay argument will be made. From there, the matter is still inexplicably scheduled before the Justice of the Peace, who will grant the adjournment. A number of signatures need to be collected, from the prosecutor's office and the Court Registry, before the applicant can then schedule a hearing date before a Provincial Court Judge with a Judicial Case Manager. And, if you're as familiar with Provincial Court as I am, you know that those hearings are several more months in the future. Some judges have called it absurd, but that's still the process. The hearing before the judge is a complex hearing in itself. The applicant is required to satisfy the Court on a balance of probabilities that there has been unreasonable delay that has breached the applicant's Charter rights. Delay itself doesn't cut it. The applicant has to show that the delay affected him or her in some way. This is where it becomes complex. Traffic tickets are stayed pending the hearings, which means they do not appear on the driving record, there is no fine due to the Government, no Driver Penalty Point Premium or Driver Risk Premium is assessed, and no driving prohibitions are issued to the driver. So beyond stress and anxiety about the outcome, there is often not much prejudice that exists in these cases. If you choose to lead evidence about your prejudice, which you undoubtedly have to in order to succeed, you can be cross-examined by the Crown. The judge then renders the decision, and if you are unsuccessful you are often expected to proceed with your trial then and there. There are two types of prejudice that are said to exist in delay cases: real prejudice and inferred prejudice. The type of prejudice the court is concerned about is prejudice that impacts your liberty, your security of the person, and your right to make full answer and defence. Since there are typically no bail conditions imposed in traffic ticket cases, the first branch of prejudice is often not made out. So these cases really boil down to the stress and anxiety awaiting the hearing, and how a person's ability to present their case will be impacted. 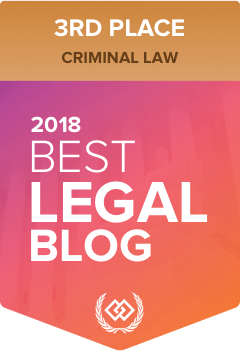 Judges do a very good job sorting out the real prejudice, such as a witness moving away for a new job or school, from prejudice that doesn't really exist, such as difficulty locating possible witnesses years later that are not known to exist. The longer the delay, the more the Court will be willing to infer prejudice. But this is all balanced against the fact that it takes time to administer justice and that we have a system that is unfortunately strapped for resources. So Won't The New System Solve This? No. It won't. This is the big lie that British Columbians are being sold on about these administrative schemes and how they replace typical court processes. If the fact that you cannot argue your Charter rights were violated in an Immediate Roadside Prohibition is not proof enough, then consider this: the new traffic court system specifically says that you cannot make a Charter argument. So while it might operate more efficiently, that is meaningless when there is no protection to ensure that if it doesn't operate efficiently or the police violate your rights in some other way, you can expect a remedy. Certainly people are concerned about delay dealing with their tickets. It's not uncommon for me to phone a client eighteen months after first meeting them, to prepare for court only to hear "Oh, I totally forgot about my ticket." It makes it hard to argue the case, because my clients do not have the memory to testify clearly. And it also makes it more difficult for officers to present their evidence. They cannot remember the details of every single traffic ticket eighteen months later. And while they are assisted by their notes, that doesn't necessarily mean that their memories are refreshed or accurate. I once had a conversation with an officer who kept telling me something very different about my client's traffic stop than what I had heard. It was confusing and strange until we both realized he had mixed up his notes from another file. Needless to say, he withdrew that ticket. But the problem isn't solved by a system that saves British Columbians from the "perils of delay" at the sacrifice of their Charter rights, cross-examination, face-to-face hearings, and the ability to discuss the case in advance with the officer. Instead, the problem is only exacerbated. People who are facing delay are not concerned about the passage of time; they are concerned about violations of their rights. So to say that delay will be corrected under the new system is saying nothing. Delay is not the problem. It never has been. Most people who attend traffic court do not go there with the hopes of running a delay argument. And while there is more often than I'd like to see some courthouse-hallway-wannabe-lawyer (protip: these people are not lawyers; do not take legal advice from them; they are often wrong; call me instead) handing out free information, I've spent enough hours sitting in the traffic courtrooms to know that delay arguments are not only often a waste of time, but are also far more rare than the Government will have you think. We have a system with smart judges who can sort out cases that are Charter-infringing from those that are not, and I'd much rather place my confidence in that than in a system that presupposes the police are right every time.